Nicholas Monsarrat is one of my most favourite authors. 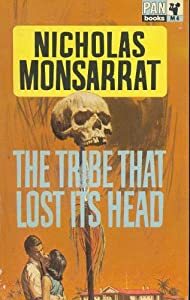 His “Tribe” books, The Tribe that Lost Its Head, and Richer than All His Tribe made a deep impression on me as a young woman, although I could only bring myself to read them once. After his death I received a letter from his widow saying that Nicholas had indeed intended to write such a novel. BREATH OF AFRICA was conceived on the basis of that hope. The book developed a mind of its own. But I trust its readers will appreciate the struggles an emerging country has to endure, while recognising that there is always hope, shining through. This entry was posted in Breath of Africa and tagged Africa, Nicholas Monsarrat, Tribe that Lost Its Head. Bookmark the permalink. I have never read his books, though of course, I know the name. Just another thing that I must do. Happy Christmas.